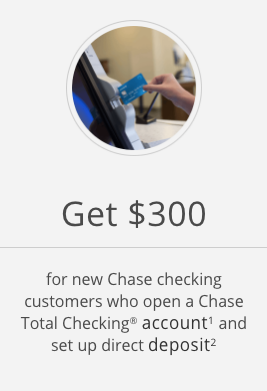 Right now you can get $300 in cash bonuses from Chase when you open a new Checking account! – Open a Checking Account with at least a $25 deposit. – Within 60 days, set up a Direct Deposit of at least $500 a month ($500 or more waives the monthly fee for the account). – Your deposit will be in your account with 10 days after your direct deposit is made. 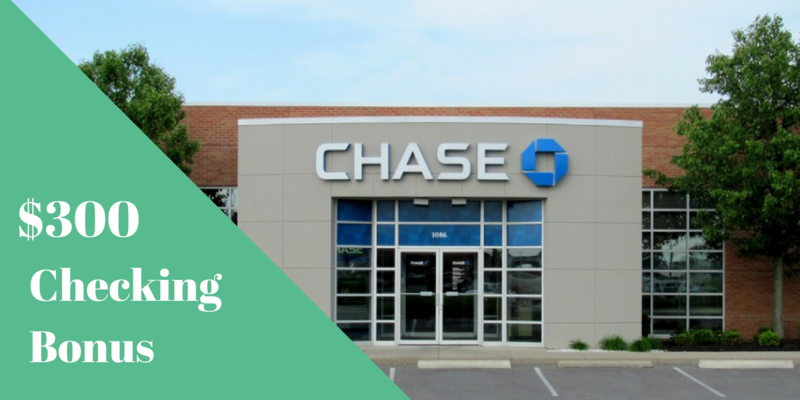 – Open a Chase Savings account. – Keep that balance for at least 90 days.